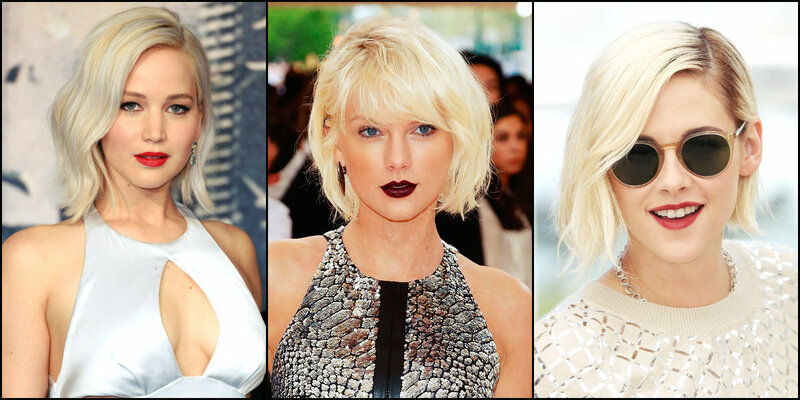 If you believe that three is a trend, then here is the hottest summer hair colors trend - bleached blonde hair colors. First it was Taylor Swift who challenged the new look. Though she has always been blonde, but suddenly appearing with barbie blonde shade, was surprising. Then it came to Jennifer Lawrence, that was rocking straw blonde before and now opted for a creamy blonde. Then at Cannes Film Festival Kristen Stewart appeared with shocking bleached blonde hair, instead of her signature reddish brunette hair color. And this can already be called a trend indeed. Do you feel the vibes? Yes, it is summer coming on to fill us with vibrant sunshine, tender seawaves and brand new style with the trendiest hair colors for 2016 summer. After the long winter some of us has updated the look to fit the spring, the rest are still looking for some more inspiration to enter the summer time. Actually the hair trends oblige us to stay natural. But doe sit really mean not experimenting with colors, not playing with ombre highlights and with vivid and bright red colors, or opaque dark hair shades? For sure not! Just choose the tone that is best fitting you skin shade, your lifestyle and emotions for this spring summer season. Celebrity hair colors are always very versatile, still they are not always very comfortable and suitable for every day life. In general this true, of course, but when it comes to winter hairstyles and hair colors the situation is different. In cold weather the only thing all of us are seeking for are warmth and comfort, and for many of us the number one guarantee is the change of hair colors to warmer shades. Following hair trends 2016 we will come to some main tendencies for soft and calm hair shades for winter time - that is blonde with its different tone, pure brunette colors and most awesome color for winter (and not only) - bronde hair colors for 2016. With the Christmas holidays coming around already, we seek for changes, for warmth and New Year mood. The best option in this case are the brand new hair colors 2016. 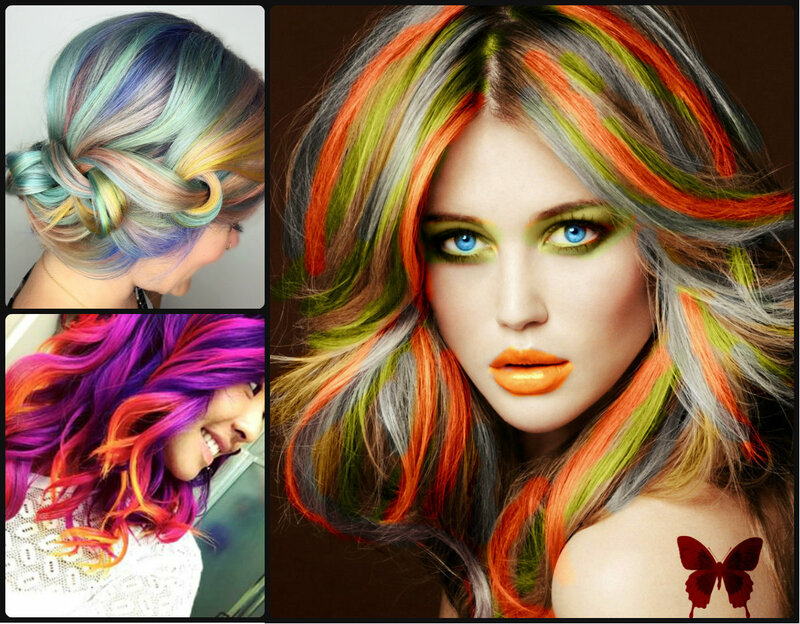 While we have been speaking about natural looks for any occasion, we forgot about the new rainbow hairstyles trend, that won popularity very quickly. And actually nothing can be better to create holiday hairstyles than ultra trendy and modern hair coloring. If you want to get back to summer and sunny days, you can play with sunset hair colors. If you want to look more like winter, play with pastel rainbow hair shades. Red hair colors stand out proudly, while women go on discussing the advantages of being blonde or brunette. Red haired woman is extremely attractive, she is a lady vamp and her vivid color makes her really unique. That is why many celebrity hair colors have turned into different shades of red recently, from the strawberry champagne to the deepest auburn and copper hair tones. Some celebs have sported red shades through all their lives, while the others just follow the hair trends 2016 and change their blonde and brown hair into something more than just a color. If you also want to be on-trend follow down this article to see some red head celebrity pictures. Brunette hair colors can surprise even the most exquisite beauty bunnies and hairstylists. The diversity of shades and tones, from the most dark almost black colors to the caramel bronde shades is really inspiring. That is why the Hollywood celebrity hairstyles are very often based on brunette colors. They make any women convert into a lady vamp, and the everlasting question of being a blonde or a brunette fades away once you decide to put much accent on your sexuality and passionate looks. 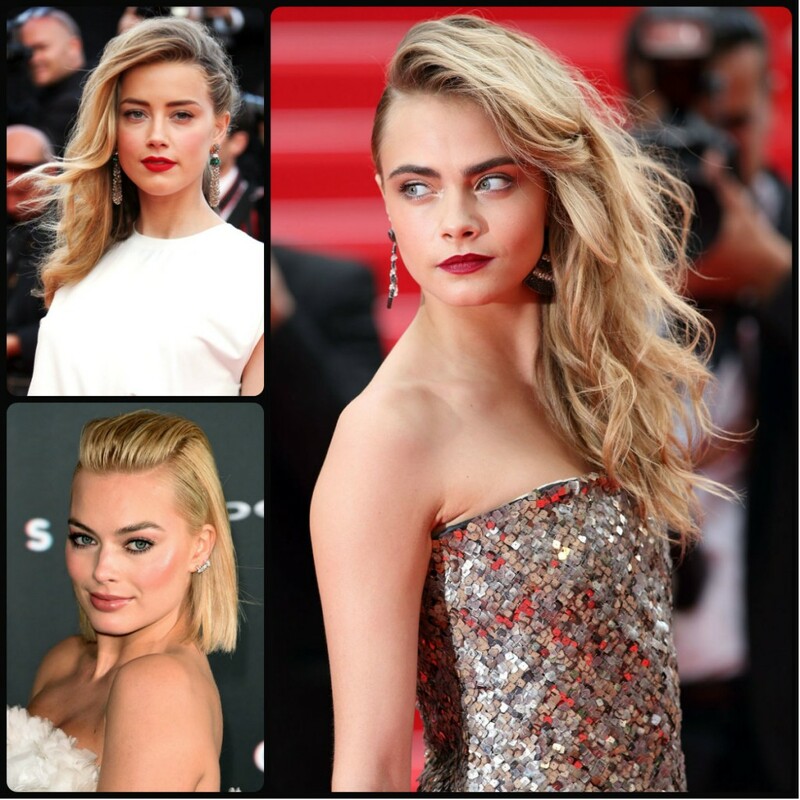 As far as the hair trends 2016 prompt us to stay natural, you should avoid artificial and vivid color plays. So you either choose one-dimensional rich and deep brunette or brown hair colors, or go on with soft transitional highlights, and the modern sombre hair coloring. It is unwritten truth, it is obvious reality that blonde hair colors are the most feminine ones. Throughout the history of humans, men associated blondes with fertility, femininity and sexuality. And until now blonde hair colors stay in the limelight and catch attention of common people and of celebrities of different ages and nationalities. Blonde is the color that can lighten up you face, make it tender and vivid, from pale ice blonde to the warmest strawberry and champagne shades of blonde you are free to choose your own color. And the celebrity hairstyles with their perfect shades will help you to choose your dearest blonde hair colors for 2016.